With most of last year’s team returning, the Cougars could make a run in the New Jersey Group IV Tournament this year. Three-year varsity starter Kelly Babitz is expected to be a key player for the Cougars again in 2016. Last season: Cherry Hill East finished the year with a winning record at 10–8. The Cougars earned a home playoff game and the №15 seed in the New Jersey Group IV playoffs, but were upset in the opening round in a tight loss to Hillsborough. Returning Players: The Cougars return six of their eight varsity starters in 2015. Kelly Babitz and Kim Longa both have three years experience starting on varsity. 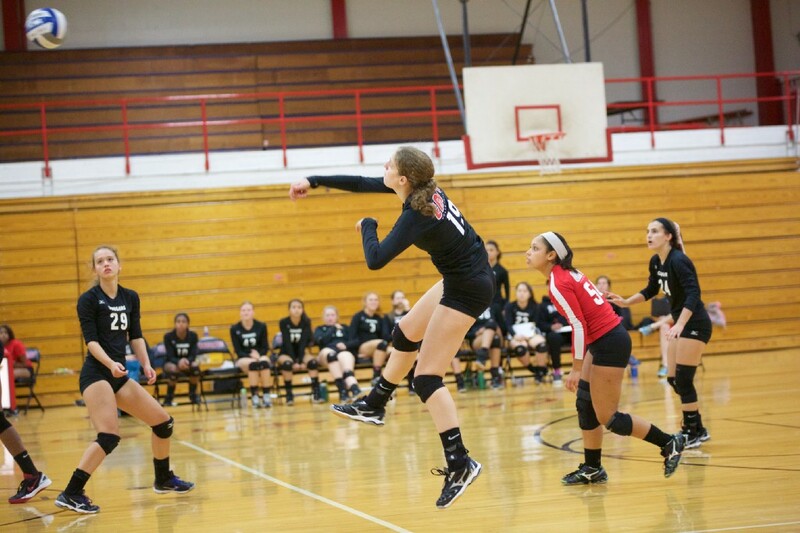 Megan O’Rourke is the team’s setter and a two-year captain. Senior Chelsey James enters her senior year already holding the program record in career blocks. Junior Star Beasley led the Cougars in hitting last year with a .310 percentage. Sophomore Sarah Pintel will start again this year and head coach Scott Mooney expects her to make a big jump up. Key games: The Cougars will get right into the swing of things in September as they will play in tournaments during each of the first three weekends of the season. Their first few regular season games will also be good tests as the Cougars host Cherokee in their season-opener on Friday and then visit perennial powerhouse Williamstown High School on Sept. 14. Season outlook: With most of last year’s team back in 2016, the Cougars expect to have a strong team. Setting and middle hitting were strengths for Cherry Hill East last year and Mooney believes the team could contend for a state championship with the growth of their outside hitters. Cherry Hill East expects to contend for a division title and finish the season as one of the top eight teams in Group IV in the state.